We haven’t had much in the way of accumulation so far this week but since there was black ice everywhere last night making an average 20 minute highway rip take me over an hour I figured a Winter Wednesday post was justified. 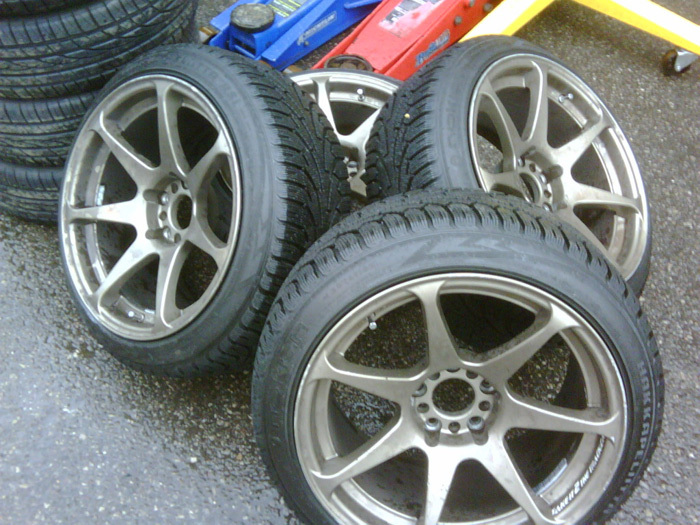 This week we have something from UNION Auto Club, ever seen stretched winters tires? Clearly not a club that believes in winter downtime UNION is at it again. 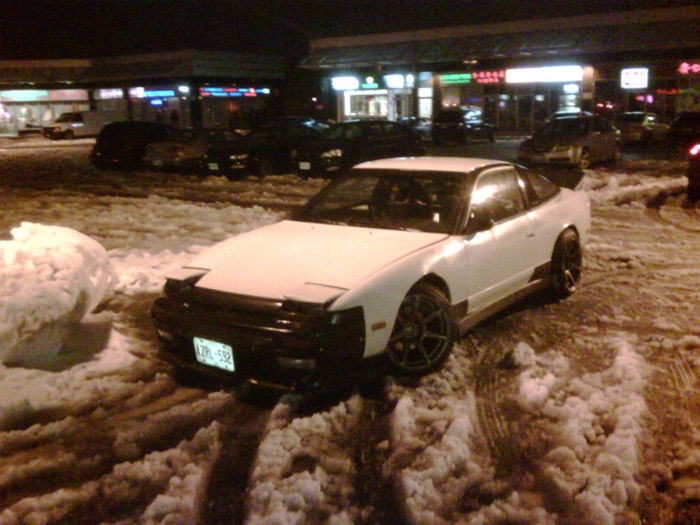 They successfully stretched 215 winter tires over 9.5″ MB battles and threw them on a 240. No winter drift videos yet but I feel quite confident in saying they are coming. Stretching snows has crossed my mind, but never seen it. Big props for Union for doin it. Tires23 just raised the Mazda 3 fitment bar.